Hi everyone, Marcy Grace here with anther blog! Exciting things going on lately. As you couldn’t tell from the picture above, I am opening up for the Los Angeles band The Americans next month! 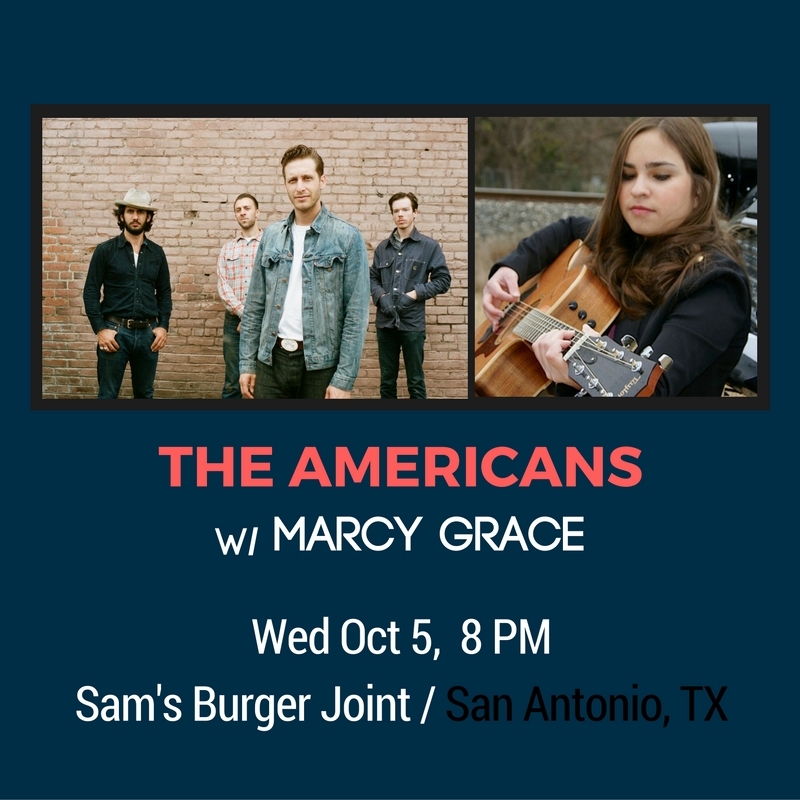 Just announced today and the tickets are on sale now at: http://www.samsburgerjoint.com/event/1322679-americans-san-antonio/ I am so excited and honored to play at their show! It will be great Americana/Rockabilly filled night so don’t miss it! Have you been following me on all of my social media? Find me on Instagram @marcygracemusic and on Facebook at www.facebook.com/marcygracemusic. There’s different content on each so don’t miss out on anything! I am posting a few 30 second covers on Instagram every week so follow me to listen! Also, let me know if you have any requests for me to sing and I’ll post it for you. Just comment here or on Instagram. I’ll be sure and give a shout-out to you! As far as other upcoming shows this month, I will be playing at 3009 Restaurant and Bar in Schertz, TX on Friday, September 30. Show is free for all ages from 5:00-9:00 PM. Great BBQ and great atmosphere. Come enjoy music and a great selection of craft beers. Hope everyone has a great weekend! Go Longhorns! Thanks for reading and I’ll talk to you next Friday!